Slather on the sunblock. 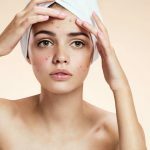 Reapply it after a few hours throughout the day – these are what dermatologists consider the best way to prevent freckles, dark spots and of course, skin cancer but the truth is majority of us can’t keep up with this regimen. Nevertheless, busy as we might be, here is a list of reasons why we will come to regret (in years to come) about not being diligent enough in our skin care routine! Unless freckles are your thing, searching for ‘how to get rid of freckles’ on Google is probably the next thing you would be doing if you are not keeping up with sun protection. Here is something you should really know about freckles – they ‘feed on’ the UV rays! So when you get under the sun unprotected, melanin (the dark pigment responsible for pigmentation problems) gets a sudden burst of energy and as a result of its activeness, the freckles on your face may become darker or even multiply! Want to know more about freckles? Click here. In a sunny weather like Singapore, skipping sunblock is probably the worst thing you can ever do to your skin. Especially if you drive, you might notice that one side of your face is slightly darker and this is because UV rays have the ability to penetrate through glass windows. Similarly, office ladies are not spared from the brutal UV rays either. If your work desk is near the window panels, this is a clear sign that you have to step up on your sun protection efforts. Love DIY mask? 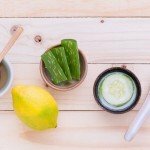 Just because the ingredients are all natural does NOT mean that all DIY facial products are suitable for your skin! For instance, fruits or vegetables like lemon and cucumber could cause your skin to become more sensitive to sunlight. So when you get exposed to the UV rays, you could experience skin redness and/or accumulation of dark pigments that would lead to pigmentation spots. Research has found that UV rays are responsible for 80% of skin ageing – think premature wrinkles, pigmentation problems, less bouncy skin, rough skin texture and sallow skin! You definitely wouldn’t want to look haggard when you are still in the prime of your life. So learn from the Japanese. Layer, layer and layer! It is not just about the sunblock per se, but also accessories such as cap and sunglasses to provide additional coverage for your skin. 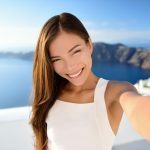 This is one beauty secret Japanese women have that makes them look young, even at the age of 50. Singapore sits along the equator and constant exposure to strong UV rays can cause our facial skin to get tanned and oily easily. So, skin problems like acne, pimples and even skin pigmentations develop more easily. How to choose a suitable sunblock? Knowledge without action is futile. Reverse sun damage, fight off pigmentation problems and signs of ageing today with a suitable sunblock for your skin type and lifestyle habit. Many have the misconception that the higher the SPF level, the better protection we will get. However, that’s not the case. In fact, using products that are too strong may cause stress to our skin. Generally speaking, SPF20 provides adequate protection for most of us who stay indoors. You will only require sunblock with SPF30 and above if you are out under the sun most of the time. Avoid sunblock that comes in cream form. Instead, opt for the light texture gel formulation which helps to reduce the chances of clogged pores. When applying sunblock, most of us focus on the nose, cheeks and forehead. While this is a good start, neglecting your neck and eyelids in the long run could add years to your perceived age! Sunblock, especially the water-resistant ones, are harder to remove. Thus it is recommended to use a gentle makeup remover to thoroughly remove the sunblock first prior to cleansing. This helps to reduce dirt and clogged pores that could give rise to pimples, dull skin and other skin problems. 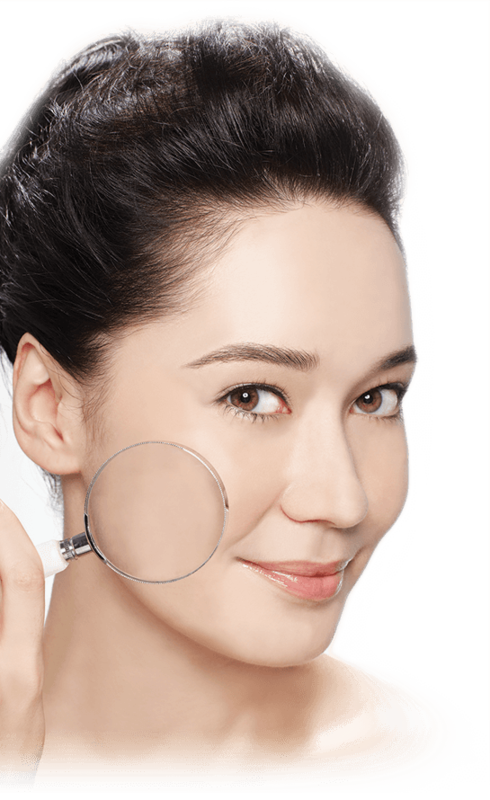 Removal of freckles, dark spots and other pigmentation problems can prove to be a hassle. 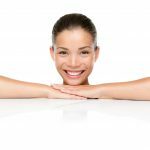 So practicing early intervention is the best way to keep yourself looking youthful and radiant. All it takes is a minute of your time in the morning and afternoon and your skin will thank you for it years down the road!